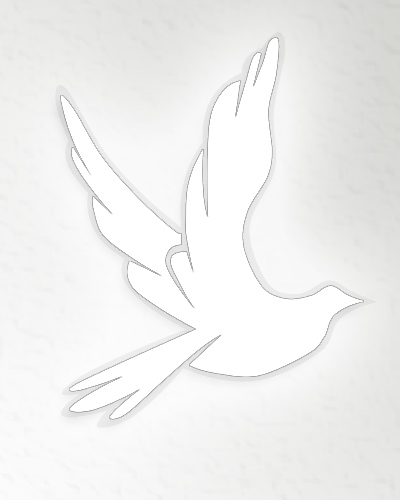 Obituary for Ellie Katherine Cynthia Steele | Iseneker Funeral Home, Inc.
CASTORLAND-Ellie Katherine Cynthia Steele, infant daughter of Jessie and Katie Steele, passed away surrounded by loving family. Ellie was born Monday, January, 21st, 2019 at 5:55pm. Soon thereafter she met the eyes of Jesus. Ellie is survived by her proud big brother, Lane Harold Steele, her paternal grandparents, James and Sherry Steele (Walnut Hill, FL), maternal grandparents, Keith and Cynthia Sixberry (Carthage, NY), Deborah Cannan (Lowville, NY), and Mark Cannan (Cherry Hill, N.C.), great grandfather, Harold Chartrand (Croghan, NY), and great grandparents, Rita and Clyde Sixberry (Champion, NY). She is survived by many loving aunts, uncles, and cousins. Ellie is pre-deceased by paternal great grandparents, Amond and Mary Steele, and William and Kathleen Anderson, as well as maternal great grandparents, Lawrence and Patricia Cannan. Ellie will be lovingly laid to rest next to her maternal great grandmother, Katherine Chartrand at St. Stephens Cemetary in Croghan NY. Services will commence on Sunday at Iseneker Funeral Home for immediate family. A Spring burial will be planned at a later date. If you wish to donate in Ellie’s name, please send your donation to Lewis County Hospital Foundation 7785 N. State St. Lowville, NY 13367 to the attention of the Caitlyn R. Pate Fund. Ellie gave us a lifetime of love during her short time on earth.